We are perfectly happy to take on the removal of plants in pots. Nothing is too much of a challenge for Total Care Removals! Even so, this is a category of item that can, at times, cause some unexpected problems for home furniture removals. So, here are a few of our best tips. 1. Make sure you can legally remove them. Plants in pots are usually considered to be movable and therefore not a problem but there can be grey areas, such as plants in pots that are secured in place by screws or cement etc. If in doubt, take legal advice. 2. Please let us know if the pots they’re in are very large and heavy – such as very big solid stone or concrete troughs. We made need some lifting equipment to help. 3. If you’re packing yourself, your plants should be enclosed within leak-proof packs and wrapping to avoid contamination of the vehicle and your other items. We’ll, of course, take care of all that if we’re doing the packing for you. 4. 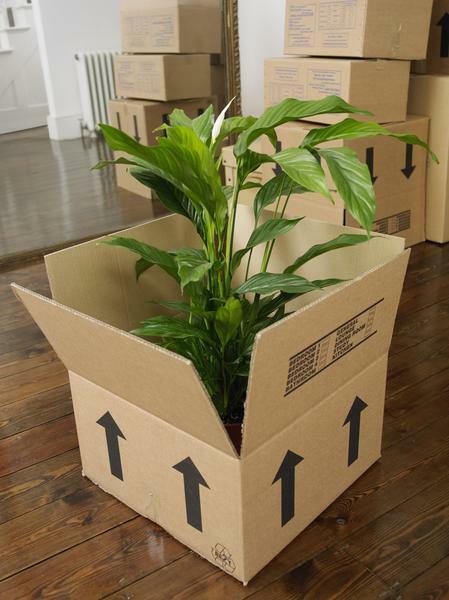 Please talk to us in advance if you’re planning to move something which is unusually tall, like a tree in a pot. It’s conceivable that above a certain height it just won’t be able to fit in our vehicle and that’s going to mean emergency pruning and height reduction – something best done only if you either know what you’re doing or have researched it in advance. 5. If your furniture is going into storage, even for a relatively short period, remember that a lack of light and water may hit your plants hard – and more quickly than you might imagine. You could make special arrangements for their care and we might be able to help. Once again, please don’t hesitate to ask for our advice and guidance on this or any other aspect of moving.